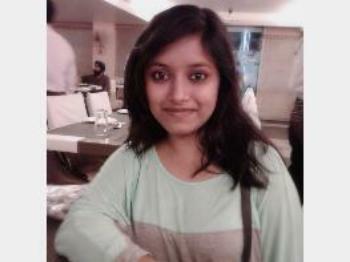 Arpita's Magic yarn craft (AMYC) is brainchild of Arpita Bhattacharya. A place where the love of creativity meets the daily mundane life. AMYC brings life to daily use accessories and home decor. All the items are handmade and crafted with love. Each item is unique in its own way. AMYC brings back the traditional crochet to the modern era. The products are with aesthetic and vintage touch with a splash of contemporary looks. A crochet lover. Over the years I have experimented with different types of yarns. Create vibrant and colourful household knick knacks with them. The creations bring out the zeal and life to the mundane objects. All products will be shipped 3-5 days of order placement. Item will reach by 5-10 days of shipping based on the location, within India only. Items will be shipped from Lucknow. As the items are handcrafted, minor human errors may exist, but they are all crafted with love. Before sending, all items are thoroughly checked, so chances of defective item sent will be minimal. Even though if needed to be returned, it should be returned within 10 days of order delivery with their original tags and packaging. The buyer has to courier it back to the seller. Once the package received the money will be refunded to the buyer's account within 3-5 working days. The crochet made items are unique and thus are in limited quantity. The same pattern may reveal different appearance as per the colours. Each item takes a certain time to make. If intend to place bulk order please contact the seller beforehand.